Document Management Systems (DMS) are software programmes that manage the creation, storage and control of documents electronically. Document Management Systems originally focused on the management of digitised documents by using keywords for retrieval. However, the effort compared to normal document storage on a network drive was considerably higher. The reasons for this included high costs for specially trained personnel and the necessary IT infrastructure as well as an enormous amount of time spent on keywording. All of this work only ended up being worthwhile if the documents that had been stored for a long time had to be retrieved quickly. For example, in the case of meeting legal obligations, such as in the event of an audit. This means that it has long been difficult to calculate the real economic benefits of a digital Document Management System. Today’s Digital Document Management Systems offer many more functions and advantages than simple document management for archiving purposes, and are no longer limited to the management of documents that have been digitised, but take care of all types of digital and electronic documents. The effort to store them in a central DMS is significantly reduced due to a large number of (partly automated) import options. Thanks to OCR text recognition, it is no longer necessary to manually keyword the documents: the DMS software can search the contents of the documents in a matter of seconds. Modern Digital Document Management Systems such as AMAGNO, are called Digital Workplaces because they automate lots of office work which was previously manual which, freeing up staff and increasing productivity. Digital Workplace solutions help employees to such an extent that not only do they save time, they also regain work quality. Modern DMS systems help you to Work Smarter, Not Harder. What are the advantages of a DMS? Document Management Software will transform everyday office tasks and revolutionise the way you make the most of your time at work. You can really feel the significant added value every day, in every document and every step of the process. Document management software in the narrower sense is defined as a solution that focuses on pure administrative functionality of large file archives. Documents are expanded by adding metadata and tagged with keywords. 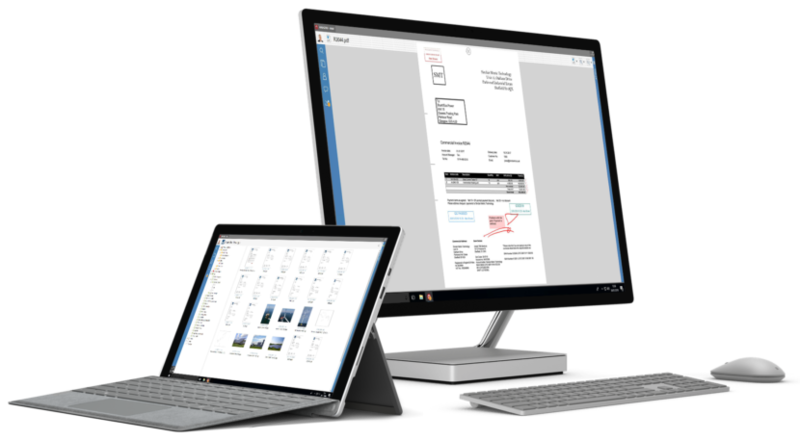 Customer names, project numbers or invoice data can be added to the document, for example, making it easier to search for them later on the standard network drive. Document management also includes the checking in and out function for documents, as well as document version control to track changes. Document management software in the broader more integral sense is defined as various technologies and their interaction. This includes, for example, document management, collaboration, acquisition / scanning of analogue documents, workflow management and electronic archiving. The different technologies are highly interdependent and what they have in common is that they manage different types of documents with database support and are managed independently of hierarchical file managers. The use of databases allows large amounts of files to be managed. The term was originally used to describe a paper-based document, usually of high quality and of legal importance. Therefore, document management software is often associated with scanned documents and their archiving. However, a digital document is in principle any weakly structured or unstructured information that exists as an IT file. Emails, Office files or digitised faxes are all electronic documents. A digital document usually has the following tags: formal properties, order, content, character, date of creation or modification, author, authorised users. A document management system uses the tags to assign a given document into a corresponding group, for example, or into the archive. 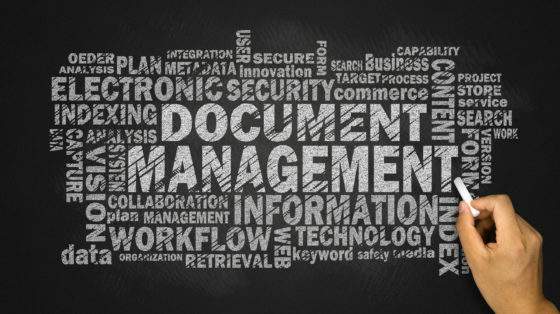 What are document management software systems used for? Document management software enables companies to digitise business documents and processes as far as possible, to safeguard against media obsolescence, to increase the ability to provide information and to minimise file redundancy. Modern DMS software can also digitally map complex business processes and, given the open interfaces, integrate document scanners or booking systems such as DATEV; Navision, SAP or Sage. Document version control allows full traceability of when and by whom a document is modified, providing important protection from deliberate or accidental manipulation. Thanks to version control, DMS technologically improves the auditability of a company. Document management software is increasingly being used in the cloud. You can choose between a Shared/Public Cloud and a Private Cloud. That said, the On Premise, i.e. In-House, option is still the most widespread application. When choosing document management software, companies and organisations should first focus on their specific requirements. For this important preparatory step, it may be worthwhile to work with a management consultancy firm that has experience in digitising processes. After taking stock of the needs and requirements, it makes sense to check out the wide range of different vendors and product presentations in order to get an idea of the 100s of different DMS software providers available. The introduction of DMS software only works if employees are on board with the process. How quickly can you convert the previous working method to the document management software without interrupting daily business? How do companies get their own documents back if they want to change the DMS software? Depending on the amount of employees you have, it may make sense to get support from expert consultants or companies. They can help you to define your requirements and create requirement specifications that serve as the basis for an exact offer from ECM/DMS providers. The main advantage is that as experts they possess a deep knowledge of the requirements as well as the multiple technical terms and are therefore highly qualified to mediate between you as a user and the system provider. Experience has shown that this results in a faster and smoother installation of ECM/DMS solutions in companies. There are numerous national and international associations in the field of Enterprise Content Management and Document Management Systems. In addition to the numerous roadshows and in-house exhibitions organised directly by suppliers, there are also the following trade fairs in Germany where suppliers and experts present ECM/DMS solutions. There are many media outlets that run reports on ECM/DMS solutions, but very few focus just on this market segment. There aren’t so many market reviews either. You can usually find supplier reviews at the following consulting companies.